The Basic Structure of DNA and RNA: DNA is more stable than RNA. The cell contains various kinds of nucleotides with ribose as the sugar component. The nucleic acid RNA has ribose as its sugar. In evolutionary history, there is a large school of thought that believes that ribonucleic acids came before deoxyribonucleic acids. Oswald T. Avery, Colin McLeod, and Maclyn McCarty in 1944 first proved that DNA is the bearer of genetic information. The investigations revealed that DNA extracted from a virulent strain of bacterium, Streptococcus pneumoniae, also known as pneumococcus – genetically transformed a non-virulent strain into a virulent form. 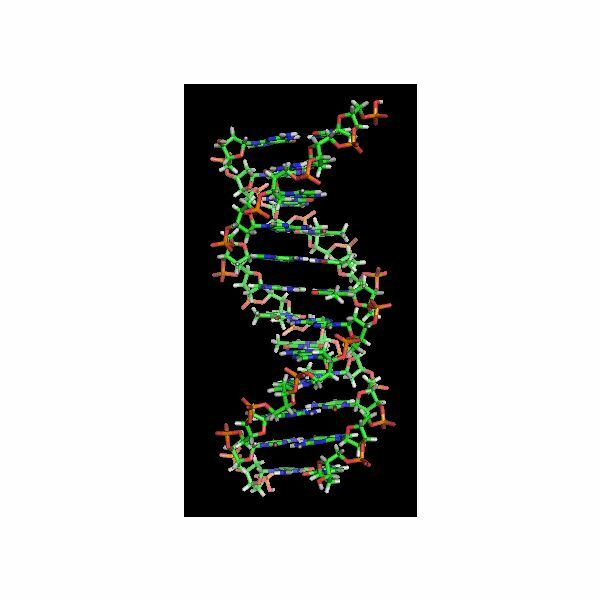 DNA is the repository of genetic information gathered over incalculable millions of years and it is stored in a stable form inside the cell. However, chemical molecules have some degree of instability and often breakdown with time. But DNA molecules have to remain stable. The presence of the –OH group on the second carbon chain of the ribose sugar makes a ribopolynucleotide less stable than a deoxyribose molecule. The presence of 2’-OH group on the ribose sugar makes it susceptible to nucleophilic attack in the presence of OH (ions) on the 5’-phosphorous atom, thus causing breakage of the phosphodiester link and forming a 2,’3’ cyclic phosphate. The –OH ion facilitates the reaction because it can generate a 2’–O ion from the 2’-OH group, which attacks the phosphorous atom and converts the phosphodiester group into a 2’, 3’ –cyclic nucleotide, thus breaking the polynucleotide chain. Hydrolysis of the cyclic nucleotide produces a mixture of 2’ and 3’ nucleotides at the breakpoint. Moreover, the double stranded DNA has relatively small grooves as opposed to the larger grooves on RNA molecules. This provides ample docking space for damaging enzymes. Base pairing bears little relation to the stability of one molecule over another. DNA has two types of base pairing: AT (double hydrogen bond) and GC (triple hydrogen bond). With RNA, thymine (T) is replaced by Uracil (U). But, as far as bond strength is concerned, there is little difference between AT and AU. A further test of the stability of DNA over RNA is if you mix RNA into a dilute NaOH solution, it will completely destroy the molecule at room temperature, while DNA is unaffected. DNA is therefore, a more stable repository of genetic information than is RNA.